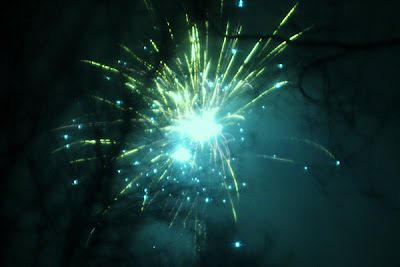 Happy New Year everybody and may you have a wonderful 2008. 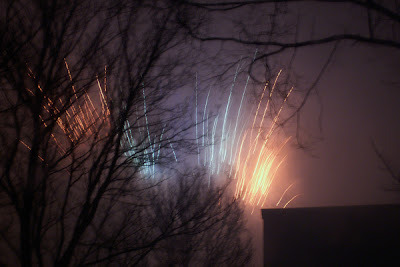 Here is a set of firework pictures I took at new year. I found a perfect setting to make these shots with my Konica Minolta Z5. This was the best shot of the night. I took all picture inside my house. 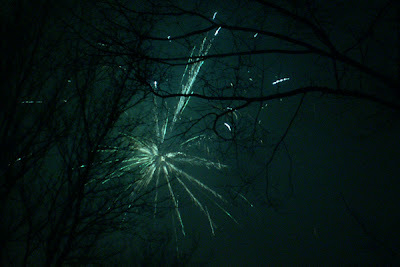 But the trees are giving a cool effect actually, because I have some that shows only fireworks and they are very dull. Click full post to see the rest of the pictures. This is a very cool shot that looks almost like a phoenix. 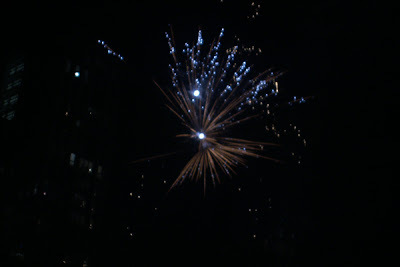 The well know palm tree firework. This shot looks like a falling star. 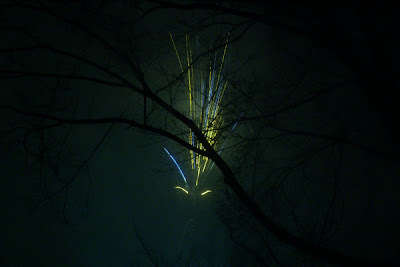 A very bright and smoky one. 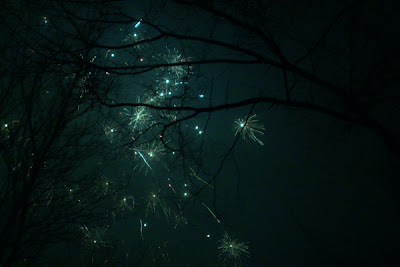 Allot of little fireworks in the sky. I found best to set your shutter to 0.5 sec to make the shots, everything shorter than this would be too very dark. And anything longer you need a very steady hand. With a F/2.8 or as low as you could set and using a ISO100. Best is to standby with the camera and don't wait for the single arrow, wait till you get an arrow box that shoots allot of fireworks. 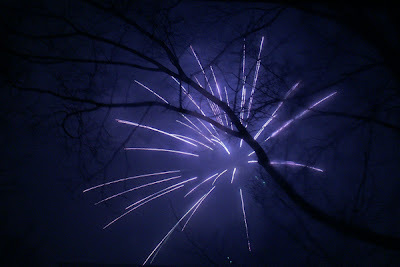 Also try to find spots where the most fireworks come from and aim there and wait or find a good zoom that let catch the firework the best on different places.